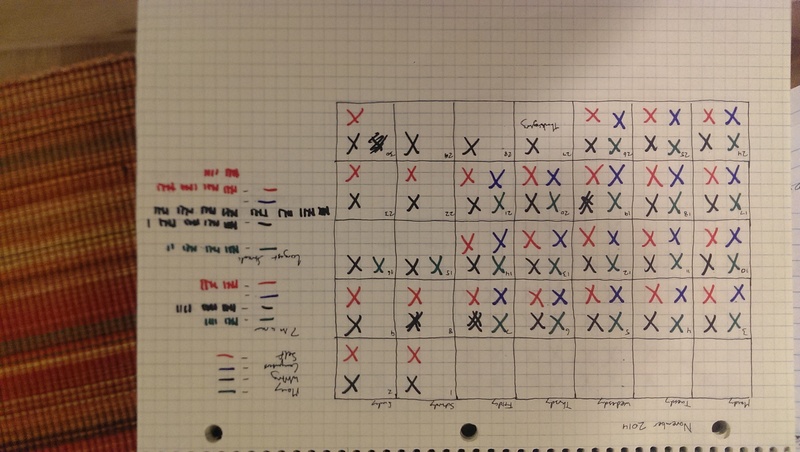 We have goals and tasks. 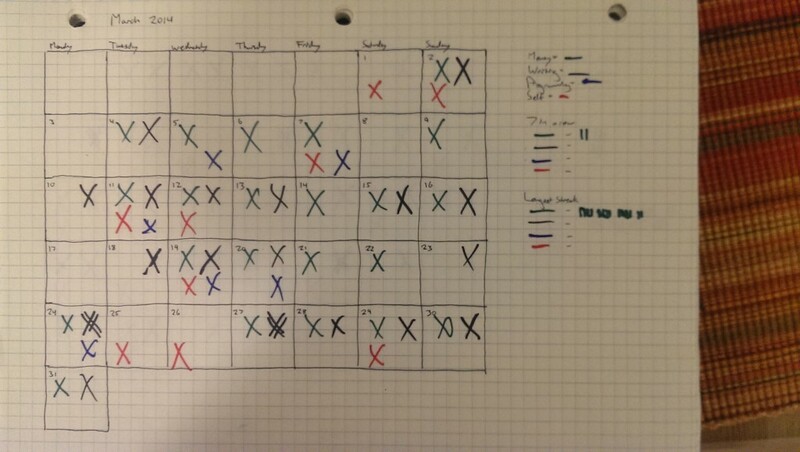 All that remains is to tie them together with a framework that we can hang our individual days on. That’s what we’re wrapping up with today. After a while, you start to get a streak going . . . and you don’t want to break it. 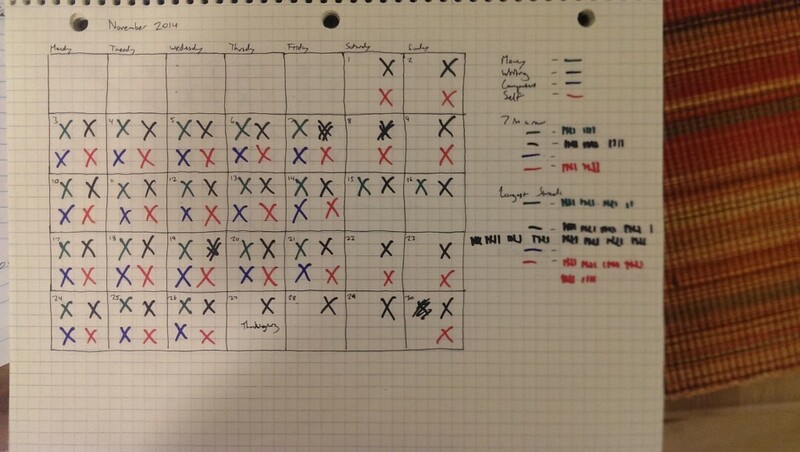 I also gameify it a little more for myself by keeping track of “longest streak” and “7 in a row” counters for each category. Your mileage may vary. This is the necessary missing piece between your goals, tasks, and your day-to-day life. It’s instant feedback on whether or not you’re heading in the right direction, and it’s a good way to see what major life changes do to the way you structure your days. Why does this work? Our calendar takes the big strategic decision-making out of our day-to-day lives, which is something we need to do (just like Obama only owning suits that are black or blue–the less he has to think about what to wear, the more he can think about being the leader of the free world). The more we think about the strategic situation, the less we’re actually on the ground putting words on paper. So do your thinking, prepare your goals and tasks, then put it all away and let your calendar take care of it for you! Speaking of major life changes . . .
It’s a clear indication that having more “free time” doesn’t mean that you’ll be more productive. In my life, it’s exactly the opposite! That’s why it’s important to keep track of this stuff. 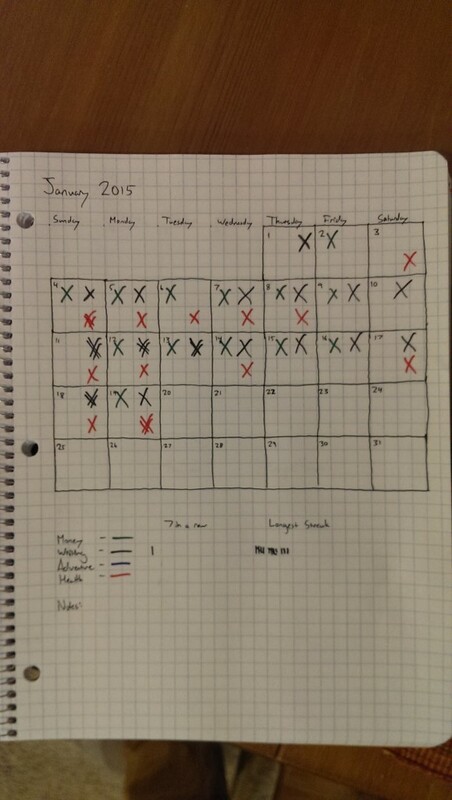 I keep all of this stuff (Goals, Tasks, and my calendars) in a master notebook for each year. Then, at the end of the year, I conduct an annual review (thanks to Chris Guillebeau for the inspiration) in the back of the notebook and plan my next year. 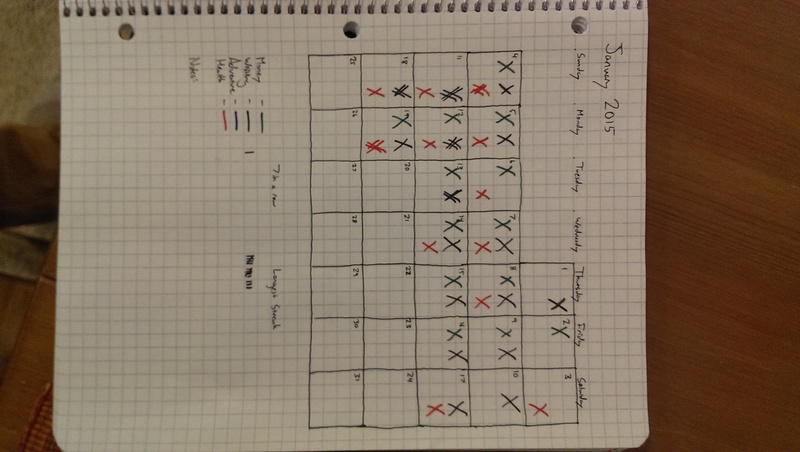 Have any stories of success/failure in planning your own year? Leave them in the comments!